I hope that you all had a wonderful weekend! I know I did. I really wanted to get this post up yesterday, but I love getting to spend the long weekend with my family so much, I didn't take the time. I just enjoyed them. And yes we did barbecue, and man was it good! 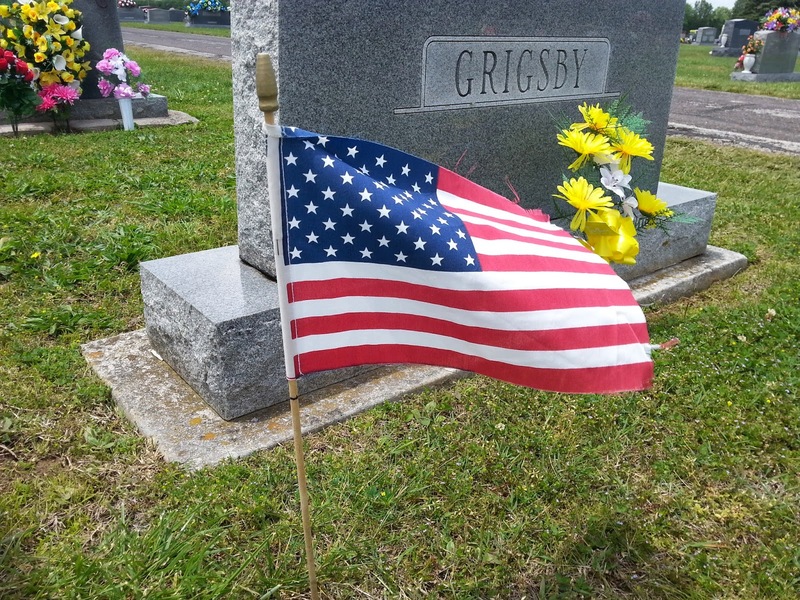 But most importantly, we celebrated Memorial Day, remembering our loved ones that have gone before us and especially those that have died serving our country. I was really surprised at how many couples now take this time to spend the holiday at the lake or the beach, or somewhere other than what the holiday was meant for. I appreciate all our veterans who are still alive and also those that have passed. I have many family members who have served in the military and I am so thankful to each and everyone of them. They have served in both peace time and war time. What I am thankful for is that they have all come back. Not all families can say that. 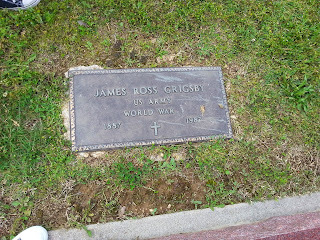 One of my family members served during World War I. He died when I was 13, almost 14 and I wish that I could go back now and ask him questions. 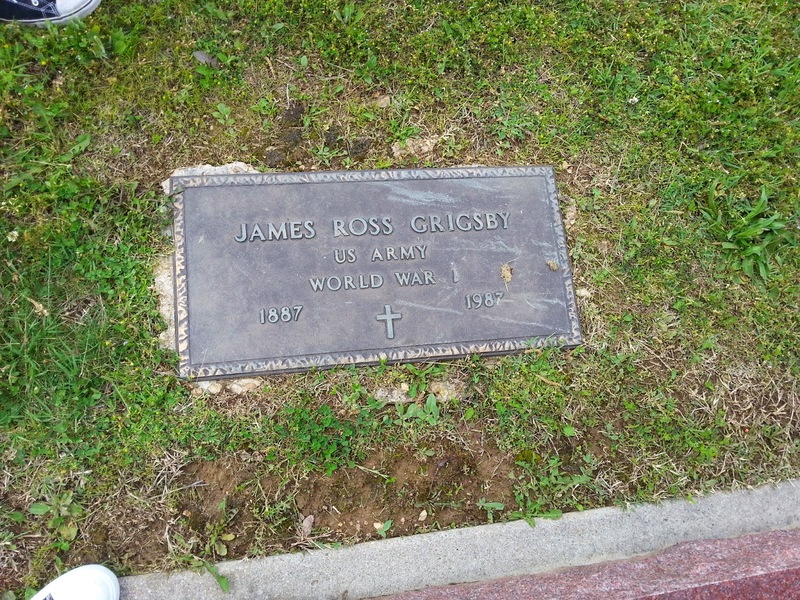 I do know that he was stationed in France and I am sure that he was in battle. Of course Memorial Day is also used as a time to remember our family and friends that have gone before us. Our family uses it as a time to teach our children about our family history. We talk about our family tree, stories about our loved ones, and decorate the graves so that they have not been forgotten. My favorite place to visit is the small church cemetery where I have family on both sides buried. 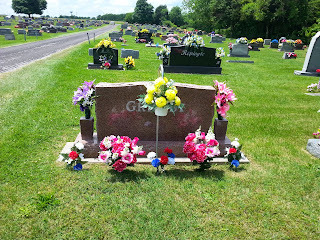 What I love about that cemetery is that you can plant real flowers. 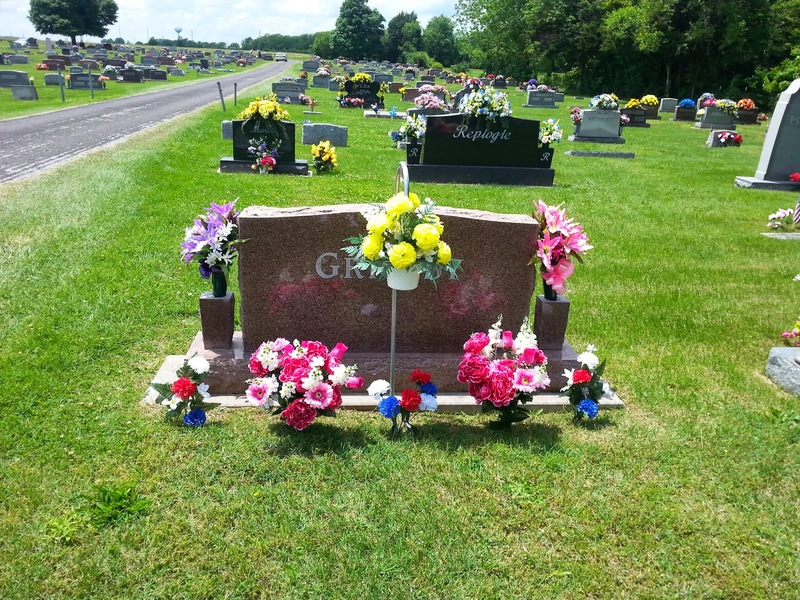 Below is a picture of my great, great grandparents grave as well as other family members. 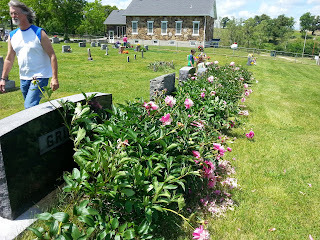 I love that they have peonies planted so that every year their graves will always have flowers. You can see the little rock church in the background. It is such a beautiful place! I hope you all had a wonderful weekend, and I hope that you took time out to remember your loved ones. Let me know in the comments below how you spent your Memorial Day. We spent the holiday as a family just wife and kids. I am very thankful for all those who serve and have served our country. God Bless America! I think that is great that you spent the holiday as a family. That is what we did as well as paid tribute to our loved ones.